I know the one minute chocolate mug cake is all the rage when you need a little chocolate indulgence late at night but come on, let’s be real. Those mug cakes, as convenient as they are to make, never really satisfy. When people like you and me make those mug cakes, we usually take that last bite with a sudden surge of regret because in the end we know we settled for something less than desirable out of sheer desperation to get a chocolate fix. Always disappointing, never enjoyable. Instead, I want to offer you something worthy of your affection with the same amount of effort it takes to make the mug cake but with 9 minutes longer of baking time. Remember, good things come to those who wait and don’t respond out of desperation – that’s a good life lesson, generally speaking. Today I have for you a recipe for a warm chocolate molten lava cake with the gooey oozing chocolately center. Most recipes are for 4 or 6 cakes which would normally be great for entertaining. But I’m not talking about entertaining. I’m talking about it being 10:30pm late at night and the late night craving starts to hit you and you gravitate towards what you can make quickly, thus the mug cake. By the way, mug cakes take about a minute in the microwave but this cake takes only 10 minutes in the oven. The choice is yours but I happen to think you are worth those extra 9 minutes. Here’s the deal, you can either enjoy this cake from start to finish without regret or you can settle for each mug cake bite with only regret to lull you to sleep. And don’t get me started that you don’t want to turn on your oven for one small cake. That logic is so flawed. It’s not just for one small cake. It’s to comfort you and make you happy. It’s called spoiling yourself because you’ve earned it after a crappy day. It’s called only needing to make one because if you make 6 you might eat them all. It’s called portion control. It’s about making just one cake for a special friend – maybe for her birthday or just because. I can guarantee you one thing, you would never give a friend a mug cake. Would you? Then why would you eat something you wouldn’t feel good about giving someone else. Let that thought sit with you for a moment. Because you are special, you deserve something special. And I’m trying to elevate your late night binging/dessert eating game. Treat yo’self. PS: Happy Mother’s Day to you. If your kids forget to show you how much they care, you can always make this cake for yourself. You can thank me later. Enjoy! 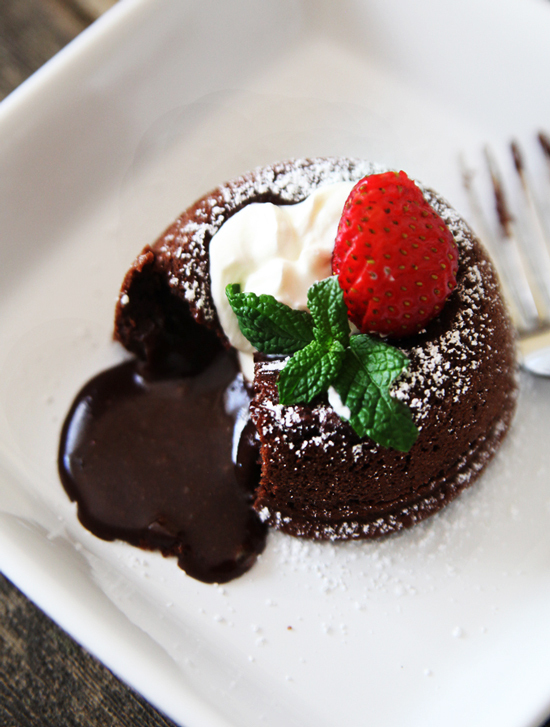 Single serving molten lava cake recipe. Optional Garnishes: confectioners’ sugar for dusting, fresh fruit, and a dollop of whipped cream or vanilla ice cream. 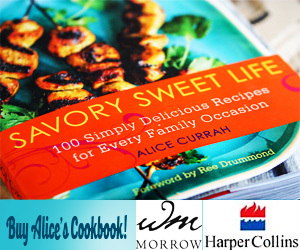 For the full recipe, see Alice's PBS Parents column here. thans Alice For this wonderful recipe. Oh my gosh! This looks killing delicious! I can`t wait to try it! Thank you very much for sharing. Alice, thanks for the recipe. I was craving this last night. Definitely going to make this for me. And, yes I am worth it. Have a wonderful Mother’s Day. Yes, you are Sara! Most definitely! God bless you, Alice! You know us all too well! Personally, I feel I am worth 9 extra minutes and an oven.